I saw an U F O. December 9th about 4:00pm as I was heading east on hiway 93 going over coyote pass, I looked off to my left because I spotted this very bright bluish white light hovering below the top of the mountain And it was your typical light silver saucer that was probably 300′ across, I couldn’t stop because of traffic beside and behind me so I did turn around at the bottom of Hill and turn around so i could pictures or videos of it but it was gone when I got back over to where I had seen it, I was less than a half of a mile from it, I did see a posting that another guy and his family video it south of Kingman down by Erinburg Az a little later that evening. I just wish I could’ve gotten some pictures or videos of it because most people don’t believe me. I can see much better on the picture now. Did you notice the right side of the picture towards the top. It looks like a bi-plain? Up there, Thank you for the better picture! 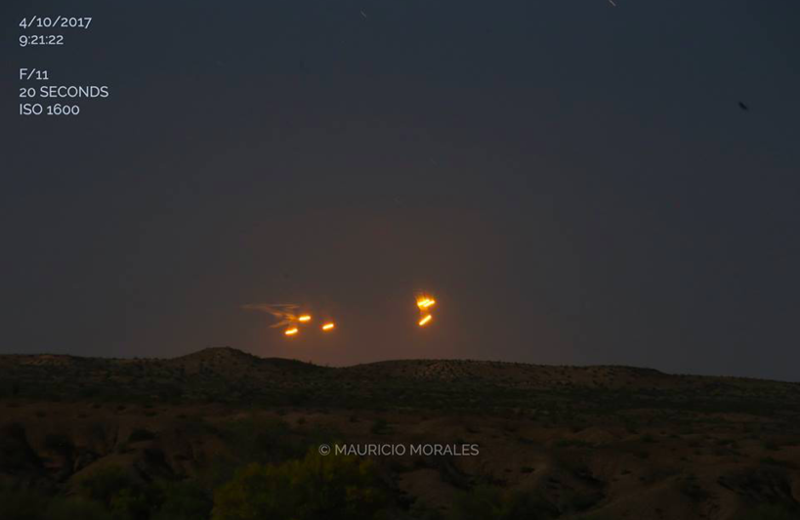 Previous Post: What Happens To A UFO When Tracked on Military Radar?